If you have a checklist of things you need as a startup founder, one of the top 5 would be mentorship. 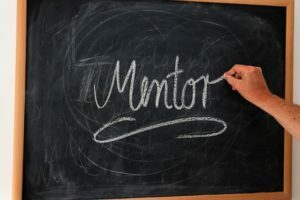 A mentor may provide material support, but their real value lies in the guidance and experience that they bring to the table. You may have a mentor in the family or in your social network. But in a mature startup ecosystem such as Bangalore, mentors can be found in a more professional manner rather than through networking. Take a look at the options below to help you find a mentor for your startup. 1. Mentorship as a package offered by your startup workspace. 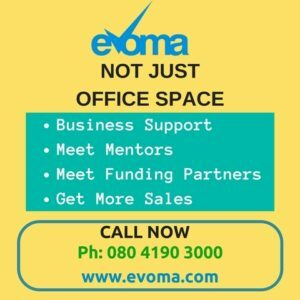 Evoma is not just a business center providing serviced offices, coworking space and other facilities for startups, SMEs and corporate branch offices. It’s also a mini-ecosystem of hundreds of companies that grow faster together than their competitors outside. One of the reasons why more startups succeed at Evoma is because the founders, CEOs and corporate leadership at our centers provide mentorship to the new members. Everyone from Evoma Founder Ashok Vohra to entrepreneurs and angel investors such as Shekhar Sahu (cofounder of HealthcareMagic – acquired by EBix for $18.5 million) help our stable of newly launched companies and those who move in to fuel business growth. It’s just as true for most of the other large office space providers in Bangalore. Whether it’s funding you need, tech talent, a push to generate more sales leads, or any type of business support services, you can easily find all of it within your own workspace in Bangalore. 2. Join a business networking club. Again, networking is far easier and more fruitful in a mature startup ecosystem such as Bangalore. Every day, there’s some startup event or conference in progress somewhere in the city. Just go to at least one event every week, meet as many people as you can, and come back with a whole bunch of business cards. Additionally, you can join business networking clubs such as BNI, Startupsclub.org and Yomillio.com. These networks will give you not only mentors, but also access to a host of strategic services that will give you an edge over the competition. 3. Non-profit mentorship for entrepreneurs. A third alternative is to go to the institutions that support startups and entrepreneurs as a non-profit initiative. This can be a global community such as TiE Bangalore, or associations such as the Society for Innovation & Development (SID) at the Indian Institute of Science Campus in Bangalore. SID provides startups with infrastructure support, seed funding and mentorship, among other things. TiE’s vision to change the face of entrepreneurship includes five pillars – mentorship, networking, funding, education and incubation. They even have a mentor match program.